Twice a year, once in January someplace cold, once in June somewhere sweltering, the membership of the American Library Association gathers to network, workshop, and celebrate all things librarian! Where once that mostly dealt with bound volumes of dusty tomes and the occasional bestseller, nowadays librarians have morphed into purveyors of information in a variety of forms. Instead of being an excuse kids use to sneak out and have fun, now libraries are community centers, offering a variety of services and activities for the general public. Regular readers of The Beat know of librarians using graphic novels and comics to entice “reluctant readers” to read, as well as feeding kids’ voracious appetites of imagination. (We even have some librarians among our readership! Hi, Kat! Hi, Karen! Read anything good lately?) Most teen librarians (that is, librarians who serve teens, not teenaged librarians) host manga clubs and reading groups, and a few have even sponsored gaming and cosplay groups! It’s no secret that librarians are bibliophiles, activist proselytizers for books of every genre and subject. Many specialize professionally, working in special collections or subject specific libraries. Many others specialize for specific age groups, such as young adult librarians. Almost every librarian, like most readers, enjoy specific subjects or types of books, and will actively recommend titles to other readers. So, it’s no surprise that there are librarians who love comics, just as there are librarians who love mysteries or magical realism or Cromwellian literature. They are fans working within libraries to promote comics and graphic novels, and other geeky activities. As library circulation figures prove the popularity of graphic novels, especially among the critical youth demographic, even ordinary librarians who might not have ever considered comics are interested in this category. This brings us to the ALA annual conference, held this year in New Orleans. Yes, it’s a professional conference, with lots of “professional development” opportunities. But there’s also lots of book signings and events held over six days (yes, Thursday – Tuesday) that it’s not just dry PowerPoint presentations and research papers. It’s the librarian’s version of Comic-Con, if one goes back to 1996. There’s even a “preview night”, on Friday, where the exhibition floor opens up in the evening, complete with food and drinks! Oh, and they hand out the numerous awards bestowed at the Mid-Winter conference, just like the Eisners, Inkpots, etc. at San Diego. Except that a Newbery Medal will usually skyrocket a book on the bestseller list. Why should comics fans care? Well, first of all, there’s the “free” comics you would find at your library. Then there’s the fact that in decades past, teachers and librarians showed hostile disdain for comics, considering them sub-literature. Now, not only do we have expert librarians actively promoting the medium as an effective literacy tool, they are recruiting more librarians to the cause. As in most communities, the newest members have the ideas, and the energy to implement. (And they will replace those old biddies gatekeepers as they retire.) Each year brings greater acceptance and recognition from some of the most critical, passionate, and respected members of the literary community! To see one of the biggest librarian gatherings embracing comics is earth-shattering. Instead of just a few token panels and maybe a title on display at a publisher’s booth, there is now a widespread presence at ALA. Comics are not a curiosity, although there are librarians who are eager to know more. There’s a big comics-centric track of programming, including a graphic novel stage featuring lots of comics creators talking about cool stuff, and for the first time, an actual “artists alley“! Where before, creators would sign books at scheduled booth signings for publishers (some with long lines), now there will be tables for illustrators whenever the exhibits floor (“dealer room”) is open. And right across the aisle from them, graphic novel publishers! Get your geek on with free food and special events. Comic Book Legal Defense Fund LIVE ART and AUCTION! : The CBLDF helps kick off the conference weekend with an incredible Live Art event showcasing the talent of five great graphic storytellers! Friday Night in the Graphic Novels Pavilion during the Exhibits Opening Reception, the Comic Book Legal Defense Fund is excited to be hosting a Live Art event, co-sponsored by First Second Books, and hosted by First Second Editorial Director and Cartoonist Marc Seigel. Artists will include Dave Roman (Astronaut Elementary), Raina Telgemeier (The Babysitters Club), Jim Ottaviani (Feynman), Ben Hatke (Zita the Spacegirl), and Eric Wight (Frankie Pickle). These talented and popular cartoonists will be drawing onstage, and the artwork created will be available for bidding in a silent auction supporting the important First Amendment legal work of the Comic Book Legal Defense Fund! Saturday June 25, 9:00 – 10:00 a.m.
Come meet Ben Hatke, the author and illustrator of the debut graphic novel Zita the Spacegirl. Whimsical and wonderful, this graphic novel has been garnering high praise from kids and librarians alike. Come find out the secrets behind the making of Zita! Saturday June 25, 10:00 – 11:00 a.m.
Come meet Jim Ottaviani, the pre-eminent graphic novel writer about science. A nuclear engineer-turned-librarian, Jim has a unique perspective on science non-fiction, and shows it with books like Cowboys, Bone Sharps, and Thunder Lizards, T-Minus: The Race to the Moon, and his latest, Feynman. Saturday June 25, 11 – 12:00 p.m. Spend time with Eric Wight as he discusses the unconventional path that led to the creation of his highly acclaimed FRANKIE PICKLE series. Eric will explain his creative process while demonstrating how he draws his characters. Audience members will then assist Eric in creating a brand new Frankie Pickle adventure, which he will illustrate on the spot. Join Jimmy Gownley, author and illustrator of Amelia Rules, along with special guests from the comic book, graphic novel and literary community for an eye-opening look at how comics are on the rise as one of the best tool to teach early literacy in children. 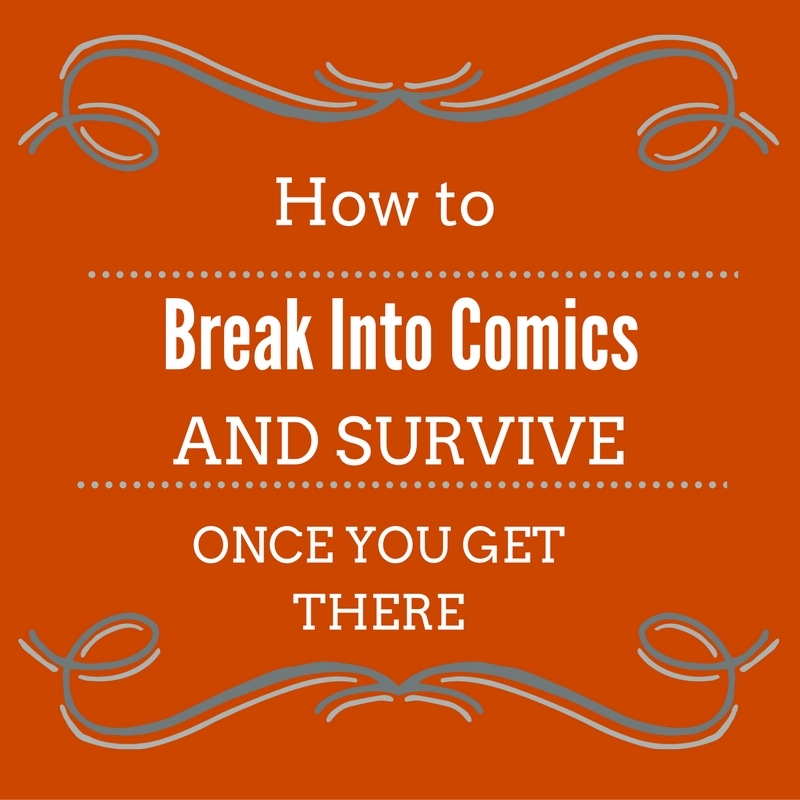 How do comics get made? Which comes first, words or pictures? And how do they come together? 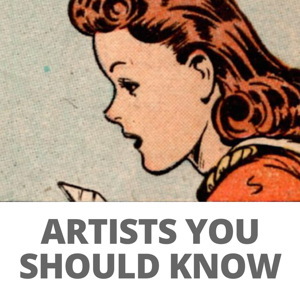 In this presentation, all of the mystery behind what makes comics is revealed! With Ben Hatke (Zita the Spacegirl) and Mark Siegel (Editorial Director, First Second Books). Kat Kan edited Graphic Novels and Comic Books, part of H. W. Wilson’s Reference Shelf series. The book collects articles from journals, newspapers, and blogs, focusing on the format and its place as literature in libraries and schools. Author and game designer JOHN JACKSON MILLER is the writer of nine Star Wars: Knights of the Old Republic graphic novels, as well as the Star Wars: Lost Tribe of the Sith e-book series. His comics work includes writing for Iron Man, Mass Effect, Bart Simpson, and Indiana Jones. He is currently writing both the comic-book series, KNIGHT ERRANT, and the related novel by the same name. He lives in Wisconsin with his wife, two children, and far too many comic books. Know someone who refuses to read? Graphic novels are the answer! Join us as we discuss a number of graphic novels that will turn even the most stubborn non-readers into literary aficionados! With the decline of the pamphlet comic, there has been a lot of doom-and-gloom about the fate of the graphic novel industry. But fear not! This panel of industry experts is here to tell you not to be afraid; the graphic novel is stronger than ever – and, in fact, here to stay. If you’re looking to learn more about what are some of the best graphic novels to introduce to your younger readers you cannot miss this panel! Hear from a mix of graphic novelist, comic industry professionals and other special guests in a panel that will give you the scoop on graphic novels you and your younger readers will absolutely love. Please visit the Graphic Novel/ Gaming Pavilion for more information on the Graphic Novel Give A Way! Prize includes: Media Shelving with Custom Made End Panels, Lounge Seating, Reading table and chairs Graphic Novel Spinner Racks, Accent Tables, Over 700 Hand-Selected Graphic Novels! And more! Visit Booth # 1760 in the Graphic Novel/Gaming Pavilion and enter for your chance to WIN! Brodart Company, Diamond Book Distributors and GraphicNovelReporter.com have partnered to create “The $20,000+ Great Graphic Novel Library Giveaway,” which features over 700 hand-selected graphic novels as well as fixtures and furniture, which will be displayed in Booth #1760 in a library setting with shelving, spinner racks, lounge seating, reading table and chairs, accent tables and more. Eligible librarians can enter to win during ALA Exhibit Hours on Friday June 24th through Sunday, June 26th. Throughout the weekend random prize drawings will be held in addition to the Grand Prize Drawing on Monday, June 27th at 9:30 when the entire display worth over $20,000 will be awarded to one winning library. Winner must be present to win! And that’s just the event stage! There’s also those instructional sessions, where librarians talk to other librarians about how successful their libraries can be by stocking graphic novels! Of course, if there’s going to be a mini-comic-con within the conference, you’ve got to have cosplay! And role-playing games! Networking, cosplay, comic books & graphic novels, board & social games, and more! Come enjoy an evening of fun while exploring new game offerings and collection development / programming ideas, while meeting and sharing ideas with librarians from across the country. Mingle with outstanding comics creators, win a piece of original art in our raffle, and snap a photo keepsake at our cosplay (or costume-play) photo booth (we bring the costumes and accessories from steampunk to sci-fi to gamer gear, you bring the imagination and attitude!). Cosplay of all kinds is encouraged but not necessary plus pick up tips on how to bring cosplay into your library. Dance your cares away as Archaia Entertainment and The Jim Henson Company present a selection of episodes from the classic 1980s television series, “Fraggle Rock”! Join us as we follow the adventures of Red, Gobo, Wembley, Mokey and Boober as they play, laugh, sing and learn valuable life lessons at the same time. Be sure to stop by the Archaia Entertainment booth (#1654) for free copies of Fraggle Rock comics and discounted copies of Fraggle Rock graphic novels—perfect publications for the all ages section in your library. The books are published by Archaia Entertainment and The Jim Henson Company and they capture the fun, tone and message of the TV show! One picture is worth a thousand words! Join our panel of comic gurus as we examine how comic books and graphic narratives can lend a broader understanding of indigenous cultures as well as serve as an accessible medium for emergent adult readers and newcomers with limited English proficiency. This is an open meeting of YALSA’s Great Graphic Novels for Teens committee. Come listen as they discuss nominated titles. Poster sessions are an effective forum for the exchange of information and a means to communicate ideas, research, and programs. Poster sessions may present a report of a research study; an analysis of a practical problem-solving effort; or a description of an innovative library program. Poster session presenters (there are 20 in each session) place materials such as pictures, data, graphs, diagrams and narrative text on bulletin boards. During their assigned time periods, participants informally discuss their presentations with conference attendees. View the online abstracts booklet at http://www.lib.jmu.edu/org/ala/abstracts/ . This is an open meeting of YALSA’s Great Graphic Novels for Teens committee. Come listen as they discuss nominated titles! Visit the world of Thra once again as Archaia Entertainment and The Jim Henson Company are proud to present a screening of the classic 1982 film, “The Dark Crystal,” to raise awareness about the upcoming three-volume collection of all-new, original Dark Crystal graphic novels! The first volume, slated for release this November, is set a thousand years before the events of the film and will feature a cover, story and art direction by the legendary Brian Froud, the original concept designer of the film! Stop by the Archaia Entertainment booth (#1654) for free Dark Crystal graphic novel promotional posters while they last! Join the new Graphic Novel Member Initiative Group (MIG) for a ‘start-up’ discussion about the goals and future projects of the MIG. Help get this new group off the ground. Creating engaging comics for younger readers takes time and effort. Sometimes one person tackles all of the duties–from penning a gripping script to inking a fluid line to bringing the page to life in vivid color–and at other times a host of talented adaptors, writers, and artists contribute their creativity and skill. Join moderator Robin Brenner from Good Comics for Kids for a panel on comics creation featuring acclaimed creators Ben Hatke (Zita the Space Girl), Chris Schweizer (The Crogan Adventures), Jim McCann and Janet Lee (Return of the Dapper Men), Dan Santat (Sidekicks), and Robert Venditti (Percy Jackson and the Olympians: Lightning Thief: The Graphic Novel). Sponsored by the new ALA Graphic Novel Member Initiative Group, this is your chance to see what goes into making the graphic novels in your children’s and teen sections. Nice article! Cool to see a comics site talk up library stuff. I am one of those librarians for teens not teenaged librarian, (grin), and I am having a great time at ALA. I have enjoyed meeting so many comic artists and writers, it really has been like a mini comic con this year. I love it! Librarian checking in. And I’m the lucky guy who gets to purchase graphic novels for our system. Hi, Torsten, thanks for the shout out! And thanks for this post. Yeah, I was basically busy at the Great Graphic Novel Library Giveaway booth almost the entire time, along with the panels. I was so glad to see you there!